Novartis’ generic arm Sandoz has won the race to become the first company to market a biosimilar in the US with its copycat white blood cell-boosting treatment Zarxio. A biosimilar is a biological product that is approved based on a showing that it is highly similar to an already-approved biological product, which is this case happens to be Amgen’s cancer drug Neupogen (filgrastim). Now Novartis’ Zarxio (filgrastim-sndz) has been approved by the Food and Drug Administration for treating the same five conditions for which Neupogen is used (which was originally licensed in 1991). “The FDA approval of Zarxio marks a significant milestone for the United States healthcare system and for patients who might suffer from neutropenia,” says Carol Lynch, global head of Biopharmaceuticals & Oncology Injectables at Sandoz. The approval was based on a package of clinical data that has led to the conclusion that ‘Zarxio is highly similar’ to the US-licensed Neupogen product. The approval of Zarxio follows the unanimous positive vote in January by the Oncologic Drugs Advisory Committee (ODAC). “Biosimilars will provide access to important therapies for patients who need them,” said FDA Commissioner Margaret Hamburg. “Patients and the health care community can be confident that biosimilar products approved by the FDA meet the agency’s rigorous safety, efficacy and quality standards”. Novartis will undoubtedly be aware that Neupogen generated around $1.2 billion in sales last year on route to helping cancer patients’ white blood cell counts fight infection. It sits in a class of medicines known as biologics that have never faced generic opposition. Just last month Novartis had provided the FDA with data from healthy volunteers and breast cancer patients, and post-marketing pharmacovigilance data gathered from more than 40 countries where the drug is already available (under the name Zarzio). The FDA panel voted unanimously – 14 votes to 0 – in favour of recommending Zarxio, after concluding there were ‘no clinically meaningful differences’ between Zarxio and Neupogen. So Zarxio is now approved for the same indications as Neupogen, which include patients with cancer receiving myelosuppressive chemotherapy; those with acute myeloid leukaemia receiving induction or consolidation chemotherapy; patients with cancer undergoing bone marrow transplantation; or undergoing autologous peripheral blood progenitor cell collection and therapy; and patients with severe chronic neutropenia. 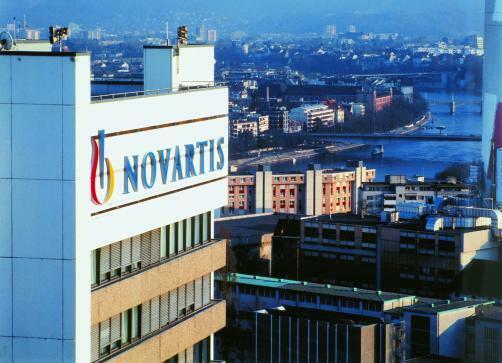 Novartis is also working on other biosimilars that include versions of AbbVie’s Humira for arthritis and psoriasis, and Rituxan from Roche and Biogen Idec, for blood cancers.